Organisers of Todmorden Carnival have warned next year’s event might not go ahead as the issue of weight restrictions on Centre Vale Park rears its head again. It follows last month’s bombshell that the Todmorden Agricultural Show would no longer be held in the town. The committee said that restrictions on the park would severely diminish the size and scope of the event and found a new showground in Cliviger. 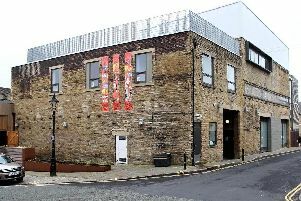 Another gaping hole will be left in Todmorden’s social calendar if the carnival is cancelled, but Calderdale Council says it is working with organisers to make sure the event can keep going. Chairman Philip Clarke said: “After this year’s carnival, we didn’t have any money to give to charity, because it cost £1,500 to rent matting to put down. “Raising money for charity is the whole point of the carnival. “The council are saying these are the recommendations, but they are just recommendations and they are following it to the letter. “It’s the fair that will be affected, we don’t think we would be able to put it anywhere else. “Over the past four years we have had obstacle after obstacle. It’s as if they don’t want Todmorden to have anything. “We don’t want to have to fork out for matting, we might be able to get a grant, but then it’s tax payer’s money. The weight restrictions were imposed in April after officers raised concerns about areas of the park where piping is close to the surface and may be at risk of crushing by heavy vehicles or spikes used in tent or marquee installation. The carnival committee is now waiting for a meeting with the Environment Agency and hopes to make a final decision before its annual general meeting. Robin Tuddenham, Calderdale Council’s director of communities and service support, said: “We are always keen to support local events where possible, as we know they are a valued part of life in our towns. “Centre Vale Park contains essential flood defences to help protect Todmorden, and unfortunately these cause some restrictions to the park’s usage in relation to vehicles. What do you think? Share your views with us at todnews@todmordennews.co.uk.